That’s according to David Kershaw, CEO of parent company M&C Saatchi, who also told PRWeek he was "happy" with the performance of the company's other PR shop, Talk.Global. M&C Saatchi this morning reported a 16 per cent rise in pre-tax profit to £32.2m in 2018 as net revenue rose two per cent to £255.3m. Kershaw described 2018 as a "rebuild year" for M&C Saatchi Public Relations, adding: "They have had quite a tough time." The agency’s global revenue rose 15 per cent, he said, although figures submitted for PRWeek’s UK Top 150 Consultancies table show UK revenue fell nine per cent to £7m as UK headcount dropped from 85 to 70. The agency said it lost two unnamed retained clients in the year. Nevertheless, Kershaw highlighted growth with existing clients including EE, Dixons Carphone and Footlocker, and wins including ROKiT and Fuji Film. "There’s no question they had a tough year, but they’re now bouncing back very well. We’ve turned the corner there," Kershaw said. Global revenue at the agency grew around 18 per cent in 2017 and about 20 per cent in 2016. 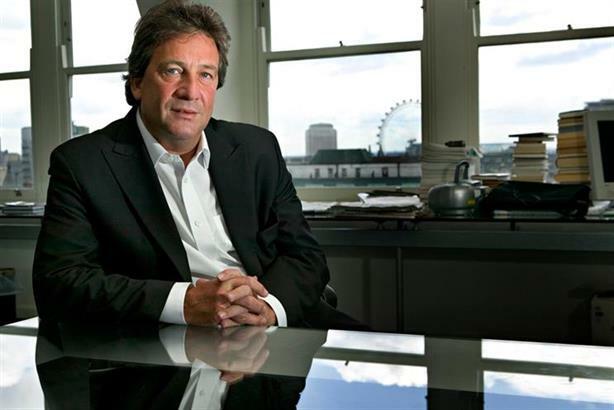 Sister agency M&C Saatchi Sport & Entertainment "has continued to excel", Kershaw said, with "double digit growth" in 2018. UK growth at the agency was again more subdued, rising two per cent to £8.4m. Kershaw said highlights included work on Coca-Cola’s Premier League sponsorship, cricket activity for Natwest, and Turkish domestic appliance manufacturer Beko’s training shirt sponsorship with Barcelona FC. Figures for the Top 150 show Talk.global‘s 2018 revenue fell one per cent in 2018 to £3.7m. Kershaw said he was "happy" with the performance, as it follows a period of the agency being "weaned off" its reliance on Proctor & Gamble, which accounted for more than half its business three years ago. The agency stopped working with a number of Procter & Gamble brands after they were sold, but Kershaw said: "They’ve replaced that with some very good business. J&J [Johnson & Johnson] is becoming a very significant client, and also the work they’ve been doing with Flora and spreads. "I’m very confident about Talk going forward. To lose your founding mega-client because of them selling businesses and replacing that has been a triumph for them." Asked about priorities for the PR agencies in 2019, he said Sport & Entertainment is looking to move into Asia – outside the UK, it currently has two offices in US plus one each in South Afrcia, Australia and Germany. "It’s a logical move into markets where sport is as important as it is here". Kershaw said the US is the "main area of focus" for M&C Saatchi Public Relations. The agency has an office in New York and more recently opened in Los Angeles. "It’s going well over there. That could be a very interesting area of growth for us." Asked about the impact of the political climate, particularly around Brexit, Kershaw said: "If we’re to look at the year to date, across our UK business and the PR business, I don’t think it would be any different [without Brexit]. We’re not seeing an impact." But he added: "I think we’re under no misapprehension. If we crash out there’s no doubt that would affect our clients and I think it would be naïve to think they won’t be going into a negative mindset. Clients are being very open about that. "On the other hand, I think because people are sitting on some longer-term projects, if there was a good solution [to Brexit] – a managed, orderly solution - I think there could be a good uplift, a good bounce back."